I tend to think of salad as a summer dish, which makes sense considering all the great produce available during the summer months. Salads are the perfect meal when it’s hot out – crisp lettuce, juicy tomatoes and sweet peppers are refreshing when the weather turns humid. However, salads can work in colder months too. Winter salads can be made with seasonal vegetables such as beets, celery root or potatoes and often incorporate cheese, nuts or meat to make them more substantial. 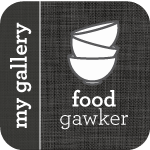 Pairing roasted beets with nuts and cheese is not a new idea; in fact, I recently tried a delicious version with gorgonzola and pistachios at Locanda Verde restaurant in New York City. My version calls for walnuts and feta cheese but goat cheese can be substituted if you’d prefer. A bright sherry vinegar dressing pulls all of the flavours together. Don’t skip the pickled shallots – they take a few minutes to make but add a nice sweet-tart element to the salad. The salad is substantial enough to be a main course but you can always adjust the servings to work as a starter. Roasting Beets: To roast beets with minimal mess, trim the roots and greens, if still attached (reserve the greens for another use). Peel the beets and discard peelings. 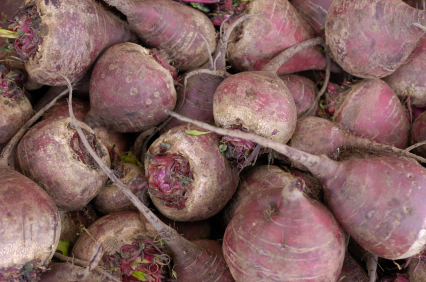 Cut beets into 1-1/2″ cubes and toss in a bowl with a tablespoon of neutral tasting oil such as canola or safflower oil. Spread beet chunks on a baking sheet and roast at 425 degrees Fahrenheit for approximately 20 minutes or until beets are tender and beginning to caramelize. Wash hands immediately after handling the beets to avoid staining. In a saucepan, combine sugar and vinegar and stir until combined. Bring to a boil and add shallots. Let mixture simmer on medium heat for 5 minutes. Remove from heat and let stand until it cools. In a small bowl, add all ingredients and whisk until combined. In a large bowl, toss mixed greens with enough vinaigrette to moisten leaves. Assemble greens on plates. 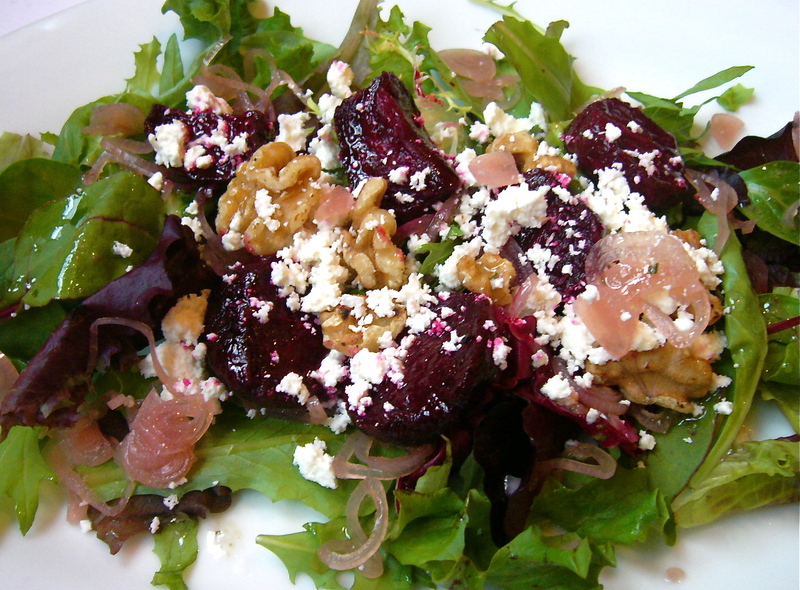 Top greens with beets, walnuts, feta and shallots. Lightly toss each serving until ingredients are combined. Drizzle with more vinaigrette if desired. This article first appeared on Suite 101.com.